MPR News Arts Reporter Marianne Combs joins Steve Seel and Jill Riley to talk about three shows that can help you forget the stress of the holiday season through hearty, healthy laughter. Two Sugars, Room for Cream  This two-woman show, performed by Shanan Custer and Carolyn Pool, looks at the witty banter and observations on life we enjoy over coffee. This 2013 Ivey Award-winning production is staging at the Jerome Hill Theatre in downtown St. Paul to Dec. 1. Born Yesterday  A Broadway play turned 1950 Academy Award-nominated film, Born Yesterday is a screwball comedy about a corrupt businessman trying to get ahead. This play is staging at the Guthrie Theater; it opens Saturday and runs until Jan. 5, 2014. 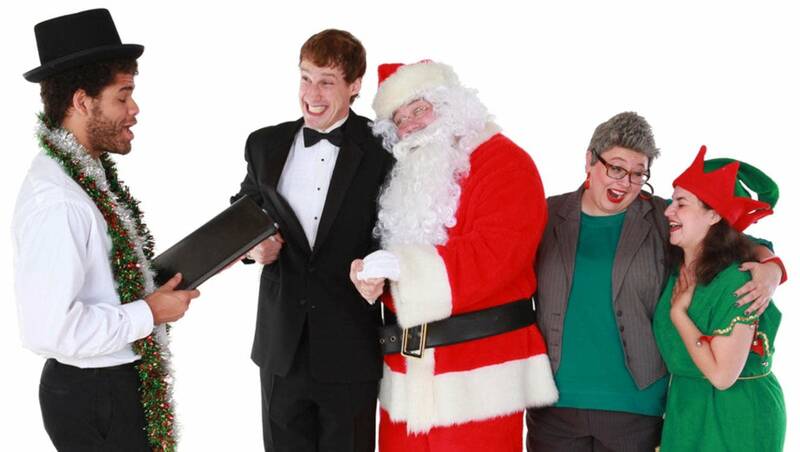 I Saw Daddy Marry Santa Claus  Brave New Workshop's annual holiday show combines holiday-related humor with a look at the year's hottest topics. This production continues the BNW's 55-year tradition of Christmas shows featuring songs and sketches, including the troupe's signature take on "The 12 Days of Christmas." (Disclosure: one of the BNW cast members is an MPR employee.) The production runs until Feb. 1, 2014. 8 Biographical Ballads Today's Coffee Break theme: real songs about real people. You helped us pull together a playlist that would surely make the Biography Channel proud. Weekend Arts Roundup: Nov. 14, 2013 Marianne Combs joins Steve Seel and Jade to talk about a collaborative project between actors and military veterans, the 10-year anniversary concert of a Twin Cities dance company and a panto-style staging of <i>Cinderella</i> that's bawdy fun for all ages. Weekend Arts Roundup: Three New Stage Productions Marianne Combs joins Steve Seel and Jill Riley to talk about three new stage productions in Minneapolis: <i>Driving Miss Daisy, An Outopia for Pigeons</i> and <i>Enter the R.T. Rybak</i>.